I’m really glad that I got a chance to check out this movie because the story and message is something that I think a lot of parents and people in general need to soak in. 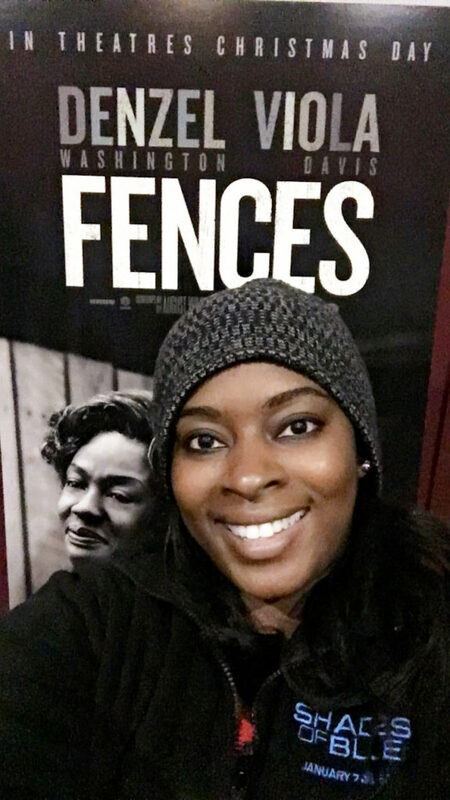 Fences was originally written by written by August Wilson as a Pulitzer Prize winning play. Although Wilson died in 2005, he was able to complete the Fences screenplay before his death. The Fences movie is directed by Denzel Washington, who also stars in the film. In addition to Denzel Washington the film stars Viola Davis, Stephen Henderson, Jovan Adepo, Russell Hornsby, Mykelti Williamson and Saniyya Sidney. Fences is set in 1950’s Pittsburgh, where Troy Maxson ( played by Denzel Washington) lives with his wife Rose ( played by Viola Davis) and their son Cory (Jovan Adept). Troy works as a waste collector alongside his best friend, Jim Bono (Stephen McKinley Henderson). Troy’s older brother, Gabe Maxson (Mykelti Williamson), sustained a head injury in World War II that left him mentally impaired, for which he receives a government pension which Troy used to purchase a home for his family. Fences tackles the many taboo topics of infidelity, parents being envious of their children, marital discourse and much more. I think one of the toughest lessons learned is how we can want to love and protect people so much that we in turn stifle their greatness. I know Fences has received a lot of Oscar buzz and I can truly say it’s very deserving of all the hype. Honestly, all the performances were impeccable and it wouldn’t be hard to say that Denzel deserved another award however, if I had to choose I would love to see Viola Davis win or Mykelti Williamson win because he stole the show and our hearts with his performance as Gabe. Because of the heavy and artistic nature of the film, I don’t know if everyone will appreciate it. But the talent in the movie and the depth of the story is definitely worth checking out. Check out the Fences Trailer! Fences is in Theaters now!